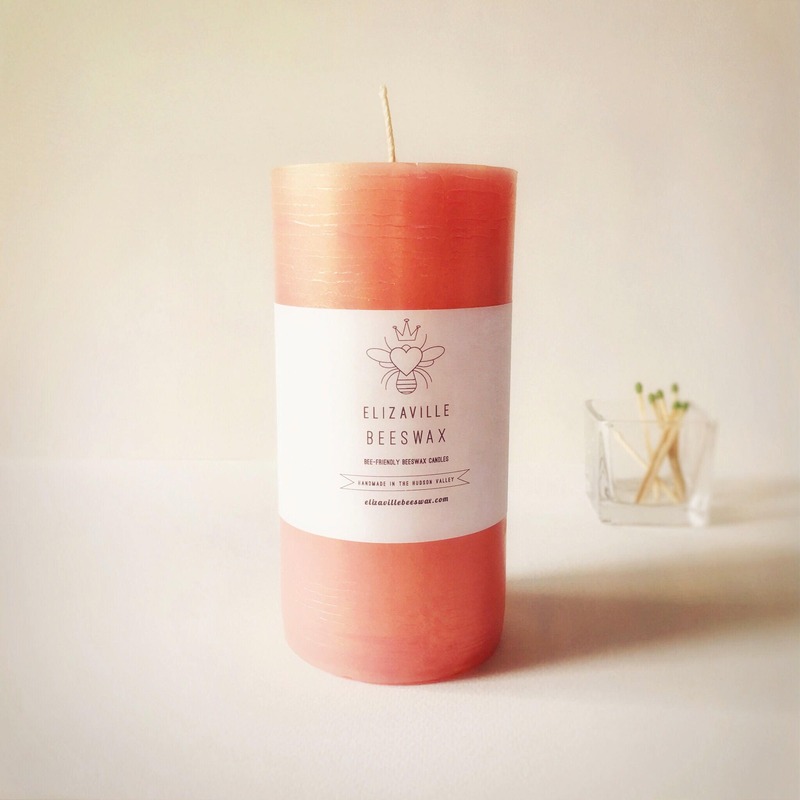 Delicately gilded, rose gold beeswax pillar candle, made from premium New York State bee-friendly beeswax. Gentle, natural honey scent of beeswax in a softly golden hued pillar. Extra long-burning and non-toxic for sensitive environments. This is a quite large candle, and it’s made with 100% pure, finest quality beeswax produced in New York State. It may be a little more expensive than some others, but it’s worth it! PLEASE NOTE: We advise the use of common sense when burning candles. No candle should ever be considered “dripless,” and all precautions should be taken to protect tables, tablecloths, candle holders, etc., in case a candle drips or runs while burning. Burns really clean and nice and big. Good communication with the seller.